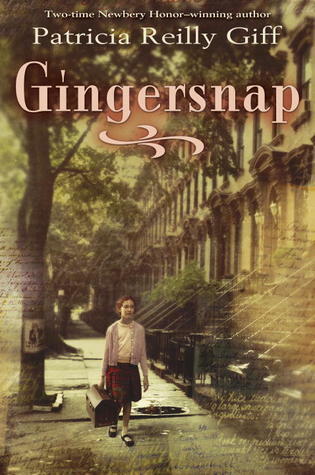 The year is 1941, and twelve-year-old Ivan Savichev lives with his mother in an apartment in Leningrad, Russia. The entire world is at war, and the German forces are bent on destroying Ivan’s home city. Bombs drop from the sky, food and water are scarce, and no one knows if this day will be their last. Ivan’s mother decides there’s only one course of action. She will join the other factory workers in the Ural Mountains, and Ivan will cross the frozen Lake Ladoga and go to live with his Uncle Boris (a man Ivan has not seen since he was five). Ivan makes this treacherous journey with Auntie Vera, who is going to stay with her sister-in-law in the village of Vilnov. 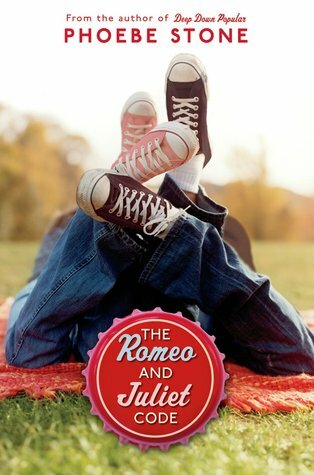 Ivan cannot fathom leaving Auntie, so he stays with her…and it is here that his life will change forever. Almost immediately upon arriving in Vilnov, Ivan joins a group of partisans, or an underground movement charged with disrupting the work of the German army. He’s surprised to learn that many of those around him are also partisans, and all of them are eager to do their part for the good of Russia. After the Germans destroyed his beloved home city, Ivan is looking for a way to help his country win this horrible war, and he’s about to get his chance. The Germans have arrived in Vilnov, and Ivan has caught the interest of their leader, the terrifying Major Axel Recht, a cruel Nazi commander. 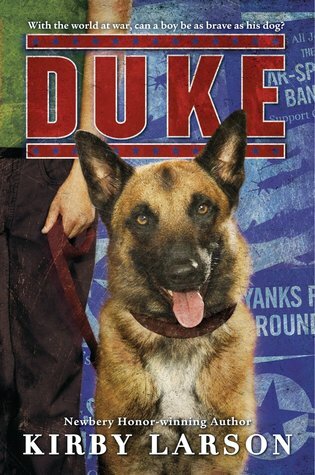 Major Recht is charmed by Ivan’s musical talent, and he needs someone to help care for and train his precious German shepherd puppies, Thor and Zasha. Ivan steps in and seizes an opportunity to feed information to his fellow partisans. In the midst of war, Ivan eventually finds a measure of peace as he finally makes his way to his Uncle Boris’ cabin. He trains Thor and Zasha to be faithful companions, he learns about farming, he visits with friends…and he grows perhaps too comfortable. 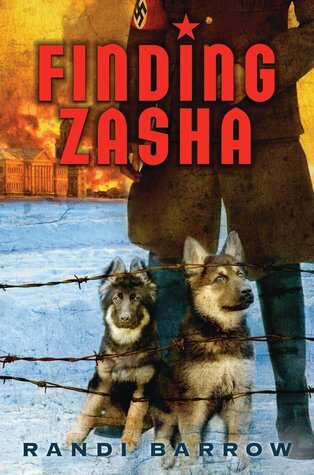 When his worst enemy returns, Ivan must flee once again, but this latest escape puts Zasha in danger. The dog has gone missing, and Ivan must make some difficult decisions that could impact the safety of his friends and his own future. What will Ivan do? Will the evil Major Axel Recht catch up with him? What will become of Thor and Zasha? Read Finding Zasha by Randi Barrow to find out! 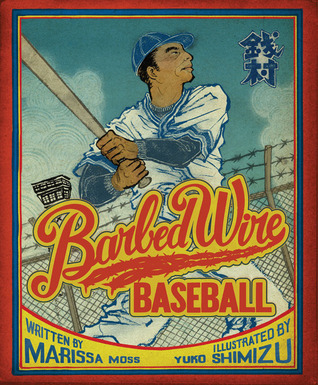 Barbed Wire Baseball, written by Marissa Moss and illustrated by Yuko Shimizu, is nominated for the 2014-15 South Carolina Children’s Book Award. Barbed Wire Baseball is a welcome addition in public, school, and classroom libraries, and it highlights a shameful, often overlooked period in American history–the internment of Japanese Americans during World War II. Kenichi “Zeni” Zenimura loved baseball. He played professionally in the U.S., and he went a long way to making the sport popular in his native Japan. He even played with baseball legends like Lou Gehrig and Babe Ruth. After the Japanese bombed Pearl Harbor in 1941, however, Zeni’s baseball dreams would take a turn. Zeni, his family, and over 100,000 Japanese Americans were sent to live in internment camps. These loyal Americans had done nothing wrong. They were rounded up solely because of their ancestry. The internment camps were little more than prisons, often surrounded by barbed wire. Zeni was sent to the Gila River War Relocation Center in Arizona, and, though he was far from home and in a horrible situation, he did not let that keep him from the sport he loved so much. Along with his sons and friends at the camp, Zeni built a baseball field. This field not only allowed them to play baseball, but it also provided some measure of hope that their dreams could still come true. Even in the toughest of circumstances, happiness can be found. Barbed Wire Baseball could be a great jumping off point for further research about World War II and the despicable way the U.S. treated loyal Americans. (Many readers will likely make connections between internment camps and concentration camps.) An afterword and bibliography provide more information about the life of Zeni Zenimura and the internment of Japanese Americans. 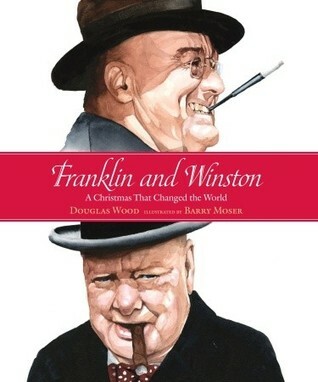 Franklin and Winston: A Christmas That Changed the World by Douglas Wood and Barry Moser is a nominee for the 2013-2014 South Carolina Children’s Book Award. Franklin and Winston: A Christmas That Changed the World tells of the Christmas of 1941 and Winston Churchill’s visit to the White House. During his stay, Churchill and President Franklin Roosevelt both cemented their friendship and developed a framework that would take the Allied Powers through the war they were determined to win. 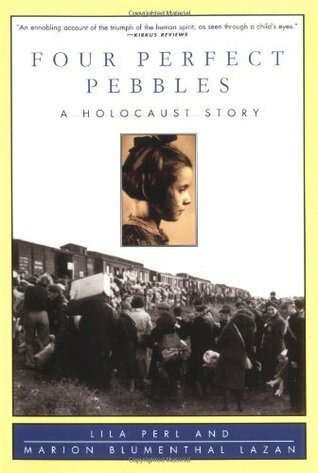 Four Perfect Pebbles: A Holocaust Story by Lila Perl and Marion Blumenthal Lazan is a memoir of the Lazan family’s experiences during the Holocaust. It seemed as though every attempt the family made to leave Germany was met with failure. Even when they fled to Holland, they were sent back to Germany soon after Hitler’s troops took over the Netherlands. The family lived in refugee, transit, and prison camps in both Holland and Germany. Marion believed that if she could find four perfect pebbles in the yard of the prison camp at Bergen-Belsen then her family would remain whole and even survive the Nazi occupation in Europe. This memoir is a very powerful look at what can happen when evil is allowed to flourish and how people can have faith that things will get better even in times of darkness. I read this book in about two hours, but the message remained with me long after. If you’d like more information on Four Perfect Pebbles and Mrs. Lazan, I urge you to visit http://www.fourperfectpebbles.com/indexS&TR3.4.10.html. I was privileged to meet Marion Blumenthal Lazan a couple of years ago, and I was astounded by how humble and courageous she was. She is the very epitome of a true survivor.